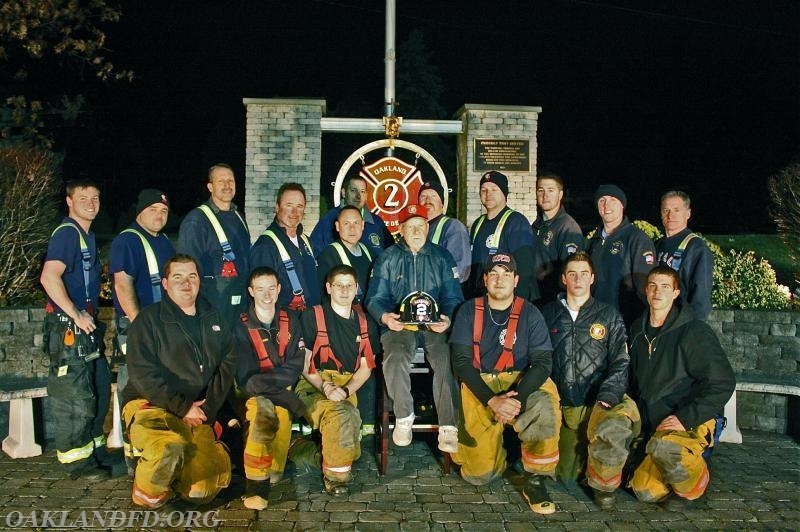 LESTER WOODWARD, age 91 of Dallas, TX, formerly a longtime resident of Oakland, NJ, passed away on February 15, 2018 in Dallas, Texas. 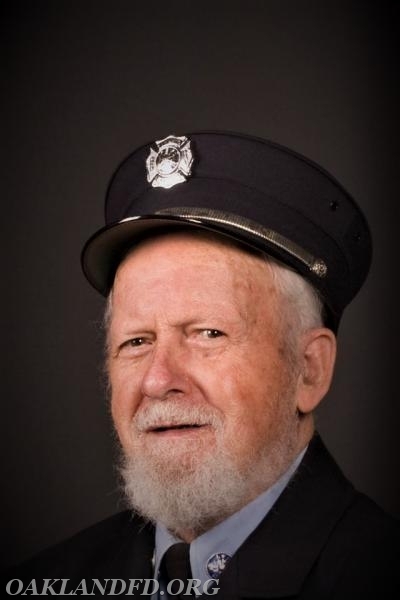 A funeral service will be held at Oakland Memorial Funeral Home on February 24, 2018 at 10AM with Pastor Russell Stammer, Chaplain of the Oakland Fire Dept., officiating. Burial will follow at Ponds Cemetery in Oakland, NJ. 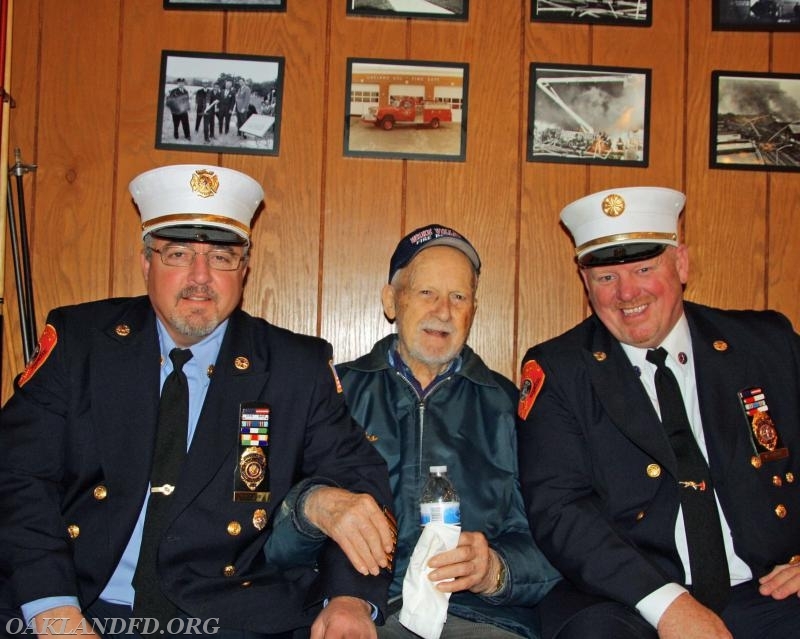 Visitation will be held at Oakland Memorial Funeral Home on February 23, 2018 from 4 to 8 PM. Oakland Memorial Funeral Home will be handling the funeral arrangements. 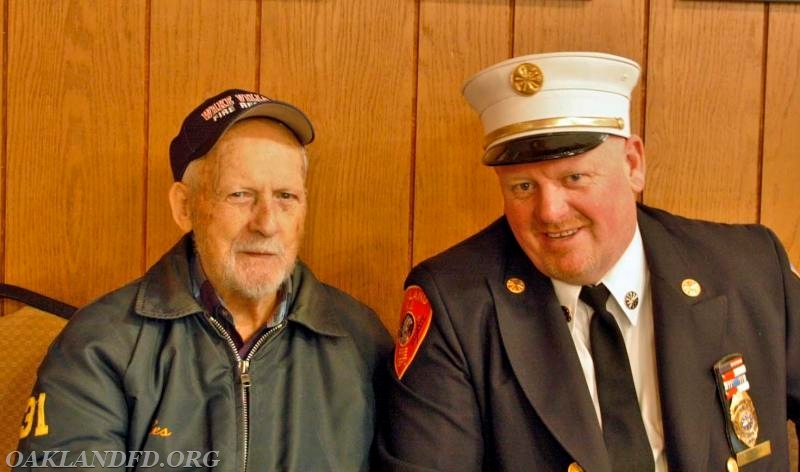 Lester Woodward was born in Prospect Park, NJ to Clifford and Clara Woodward on December 12, 1926. He went to high school at Hawthorne High and graduated in 1944. 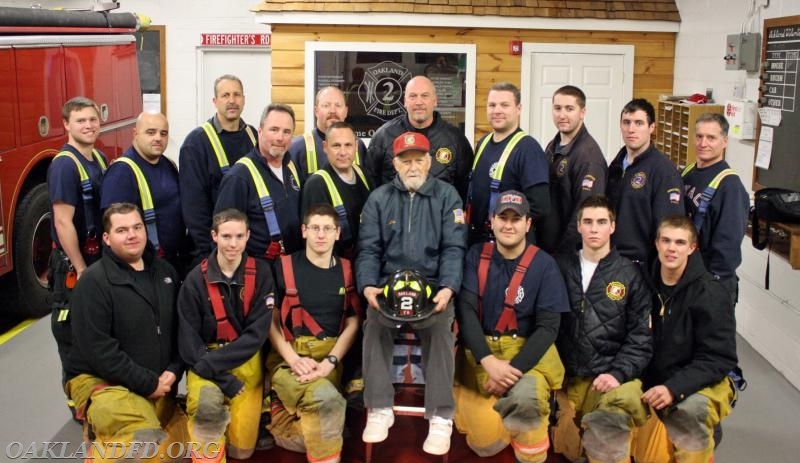 Lester enlisted in the Navy in 1944 and was honorably discharged in 1946. Lester was a baker by trade. 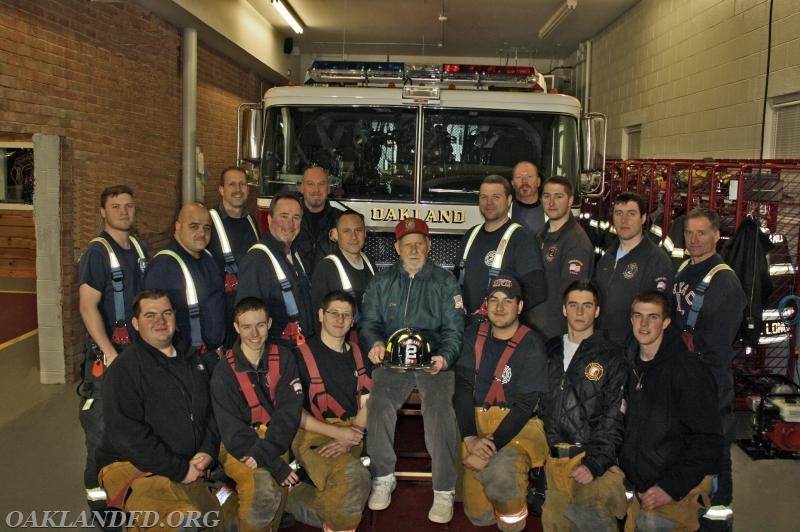 He was also an inspiration to many during his 58 years of dedicated service to the residents of the Borough of Oakland where he served with compassion and selflessness as a volunteer firefighter of Company 2. 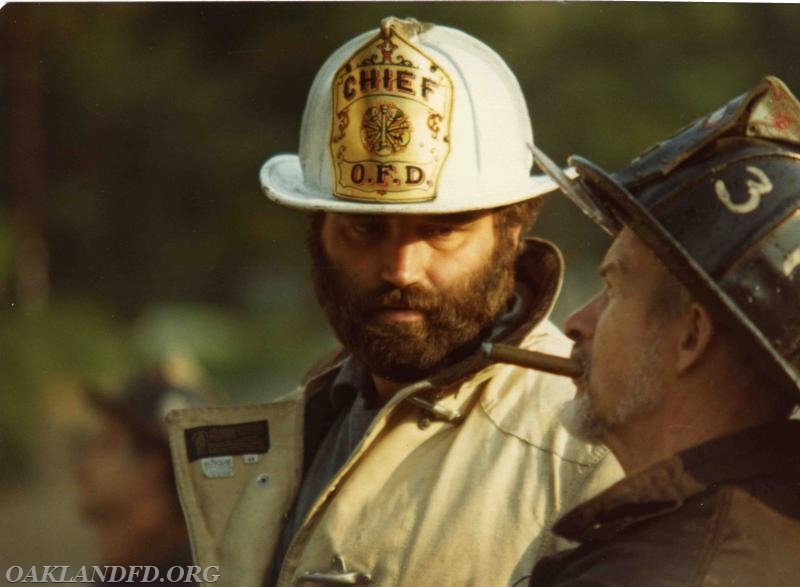 During his career, Lester served as a mentor to all members of the Department, who to Lester, were also his extended family. 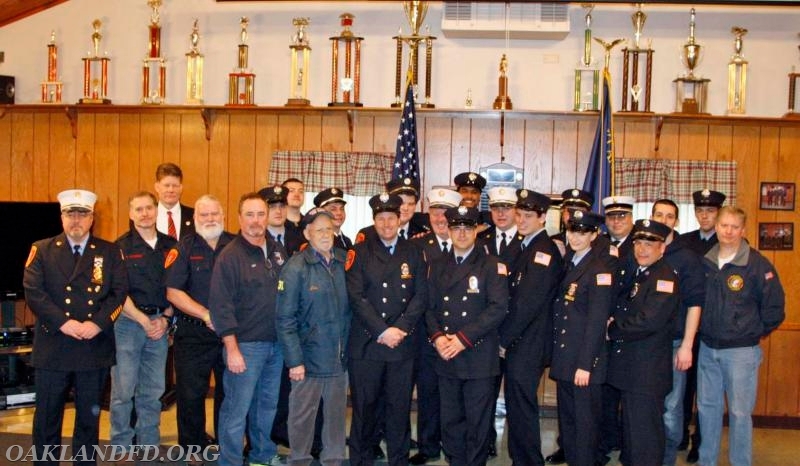 He was Awarded Firefighter of the Year in 2006, was Awarded a Shield Award from the Ramapo Valley Knights of Columbus for dedication to his Community and he was awarded a Proclamation in 2014 by the State of New Jersey for his many years of dedicated service. 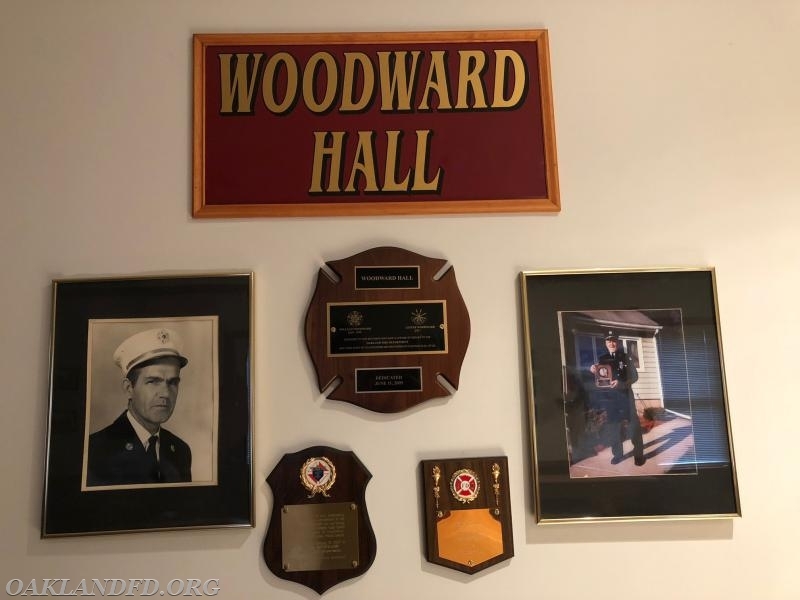 Lester was most proud of Woodward Hall, the 2nd story of Company 2 that was dedicated to Lester and his brother Bill, for their many years of selfless service to their community and the OVFD. Lester Woodward is survived by his wife of 70 years, Helen (Kenyon). 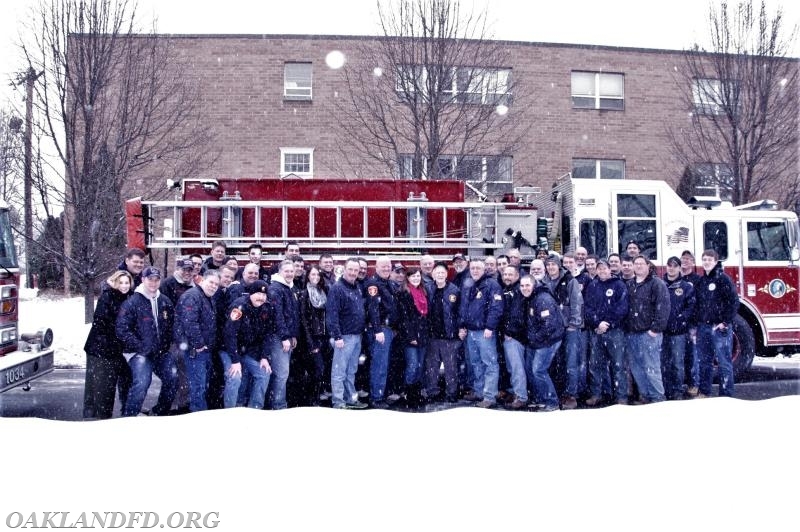 He is also survived by his daughter, Pamela Bender and her husband John, his sister Norma Faber and her husband Neal, his beloved grandchildren Justin Woodward, John Bender and his wife Liz, Michelle Irving and her husband Kevin, five very special great grandchildren, Emma and Jack Bender and Samuel, Jacob and Hannah Irving, as well as many nieces and nephews. Lester is preceded in death by his son, Bruce Woodward, parents Clifford and Clara Woodward, and brothers William and Clifford Woodward. 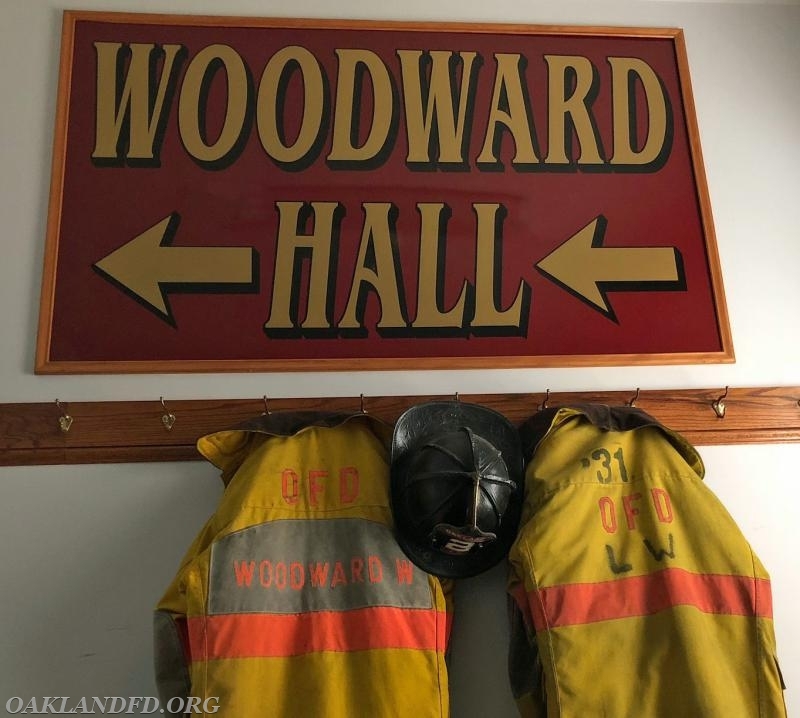 Memorial donations may be made to the Oakland Fire Department or the Alzheimer’s Association. The family wishes to extend their gratitude to the compassionate caregivers and staff at Windsor Senior Living in Dallas, Texas where Lester was a resident for almost two years. My thoughts & prayers to the family. 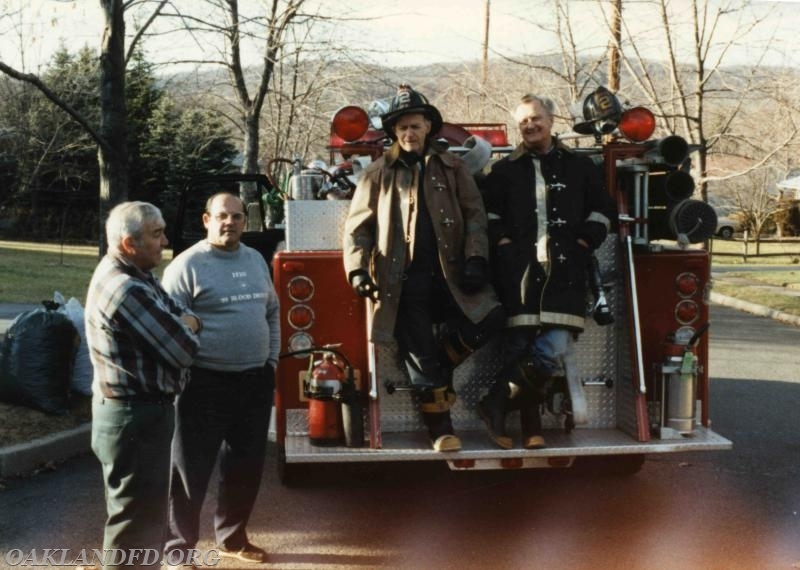 My father, John Bigley served on the OVFD, with Bill & Les.